My niece is engaged and getting married soon...her shower is coming up this weekend. 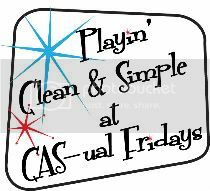 This card is for her and fits CAS85 (the latest clean and simple challenge on SCS). The challenge is to use kraft, red, brown and vanilla with optional orange. I opted out of orange this time! 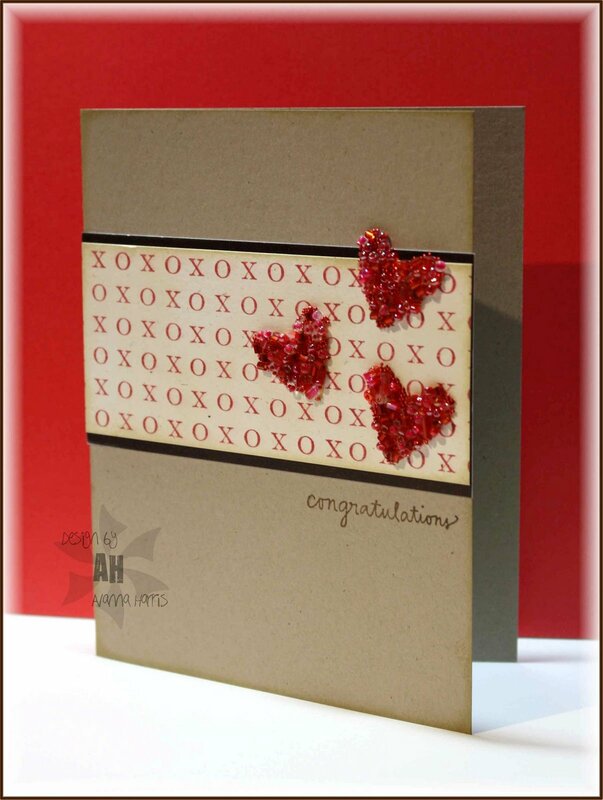 I stamped the Xs and Os 3 times to make a background for the beaded hearts. In order to ensure perfection, I drew a fine pencil line with my Tim Holtz ruler and then used my stampamajig to line up the bottom of the Xs on the pencil line. I distressed this panel with tea dye inks because I cannot resist distressing every card I make (plus, it also keeps the vanilla layer from being too stark looking). 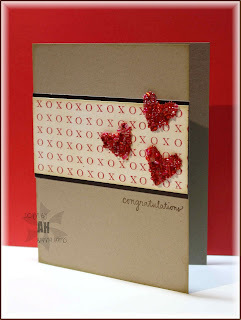 I ran some scrap pieces of stix 2 anything adhesive sheets through my cuttlebug to cut out the hearts. The dies cut through this stuff easily. Once I stuck the hearts to my vanilla layer, I peeled off the top adhesive layer and rolled them first in the bigger beads, then the microbeads to fill in the gaps. You need to press down hard to make sure the beads stick well or you get a mess! Hopefully the photo captures some of the shine and dimension of the hearts - they are so pretty! Absolutely wonderful! I love this simple design.